If you’re preparing up to start running and getting yourself in shape again, having a running app for Android will make your life extremely easy. I get out for a jog every morning to keep myself fit. My list of essential gear includes a bunch of gadgets and apps. For me, going for a jog without my smartphone is almost impossible. 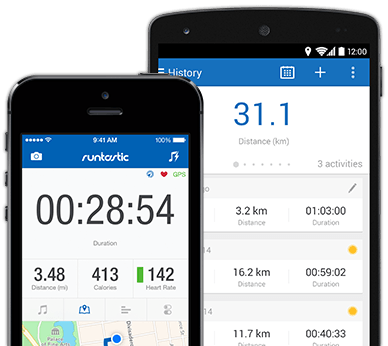 Right from fitness tracking apps, calorie counter, GPS and a very carefully crafted playlist, here is my list of best running apps for android. There is a reason why this app is placed on the top of this list. It’s very simple to use, and straightforward app that helps you track all sorts of things like time, calories burned, pace, distance and much more. Users can also look past at the runs they had to track your progress over time. You can also set a new route and look at old ones. Basically, it’s a great starting point for beginners who’re looking to have some data on their run. Pretty clear from the name, Map my Run offers you the functions of a basic running app: calories burned, time, pace distance and much more. Apart from these basic functions, it also links to your fitness tracker to track your heart rate. Users also have the ability to enter more data like distance tracked and food consumption. The app also sends alerts if it’s time to get a new pair. There are certain cool functions the app offers like tracking run if you’re on a treadmill or walking a dog etc which helps you better analyze your performance. Another popular name when it comes to running apps for android. It’s a very basic app that links with Google Maps/ Earth to easily route your map. This can be very helpful if you’re new to a place. The app analytics are great with all the charts and graphs which depict your progress with ease. 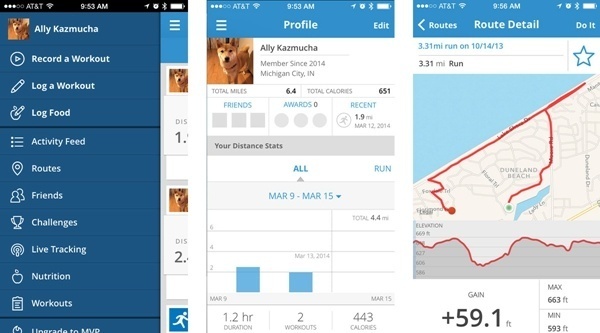 Users can also share their running reports on social media with their friends. The app comes with a built-in variety of training schedules. You can also sync your app to Pandora or Spotify for streaming music while running. 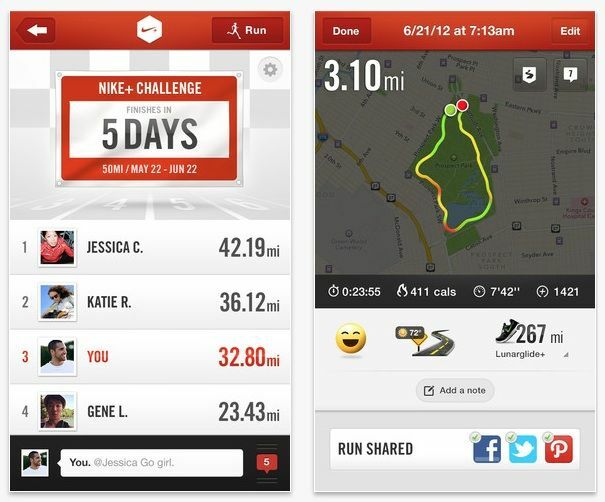 Overall, its a great app for people who are constantly traveling and look more robust report about their running data. This app offers a much more sleek interface along with all perks of a basic running app. Apart from the essentials, the app also offers a bonus in order to give an overview of your workouts. 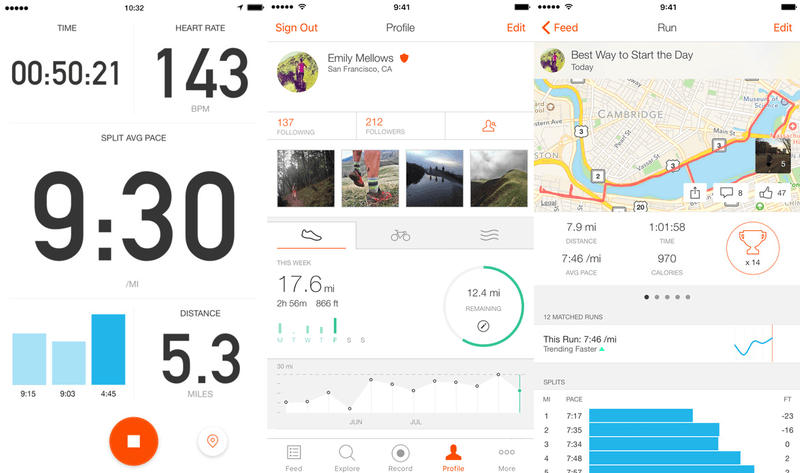 The app goes one extra mile to pull out data that might impact your run, like the weather, time of day and much more. The app does stuff like analyzing everything and telling you that best time to run on Friday would be before 10 or something similar. It also tells you which music you perform better too so you can tweak your next run better. Although the app comes from the house of Nike, you won’t have to use their products to get the benefits of this application. All you need to do is set your app to your current running terrain like sidewalk, trails, treadmill etc. 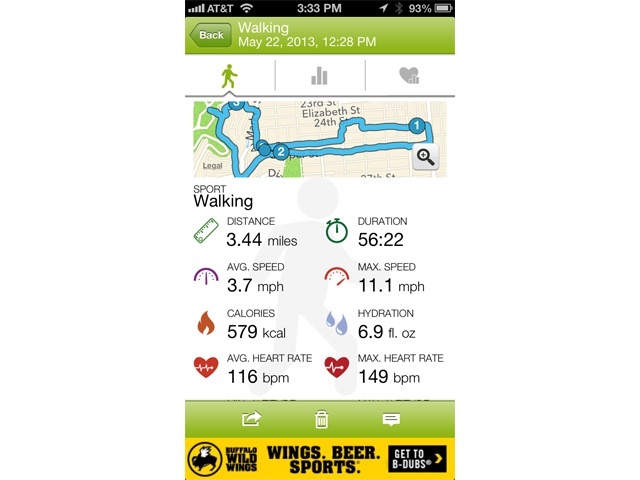 Once set, the app will track distance, pace, time, and calories burned. Apart from essentials, it helps you to make, or share your personal goals with your friends or beat your own records/goals. The app also allows you to upload a particular song that it calls “power song” which you can play when you need an extra boost for running that last round. 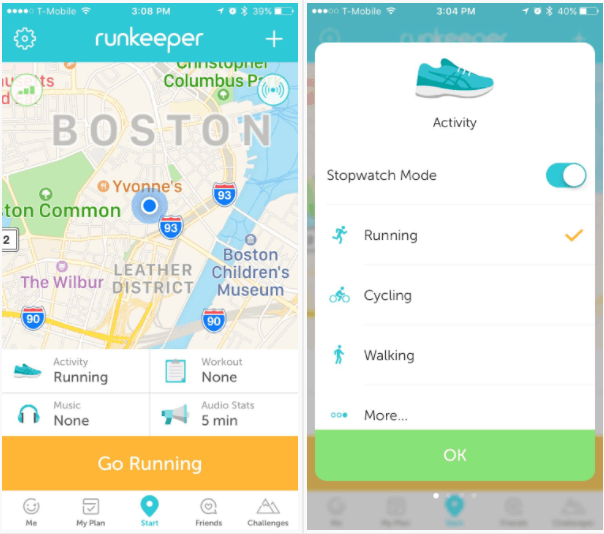 If you are among the people you split their routine between cycling and running, this app is made just for you. The app has a unique dashboard which tracks even small and detailed aspects of your workouts like elevation you’ve gained apart from tracking usual things like distance, time and pace. Some more unique features like challenges, achievement badges and leaderboards that help you push further for meeting goals. It’s a great app for people who run “the less traveled path” and enjoy little competition. Another running app for android which is perfect if you like an app to get into shape and build their body further. It pushes you to get off your couch and be able to run 5k in as short as 9 short weeks. The app has built-in training schedules ranging from 20 to 30-minute routes from three times a week until you build a pace for yourself. 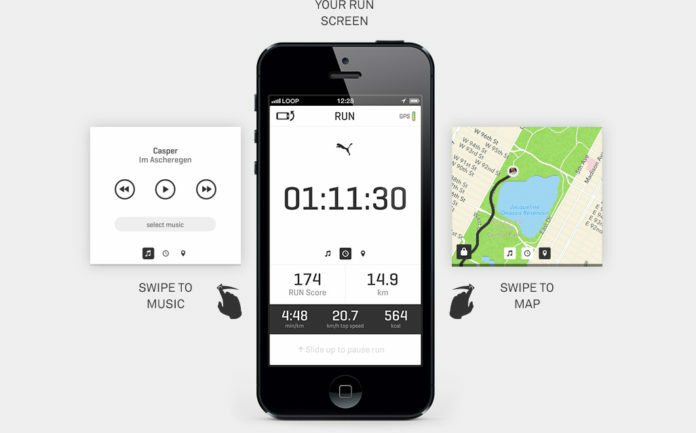 The app also tells you when to run, when to walk and more. Basically, helps you get motivated to run, and coaches you throughout your route while building your strength and stamina. This app is one of the most social running apps available in the play store. 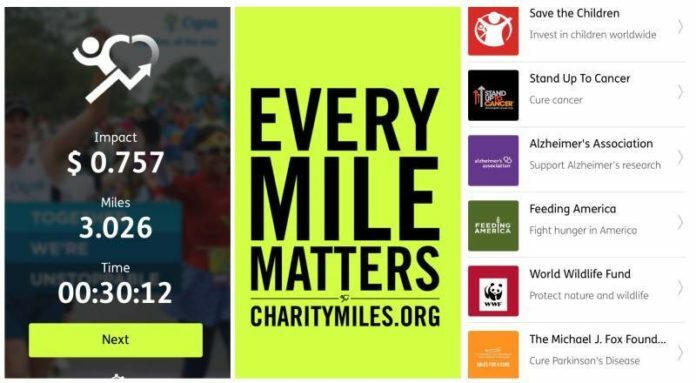 The app is built to make it easy to share pictures and videos from your run on your social media pages. Users can connect with each other in order to congratulate when they complete a goal. You can also challenge people to make them run longer. Users can also give shoutout while people are running to boost their motivation. 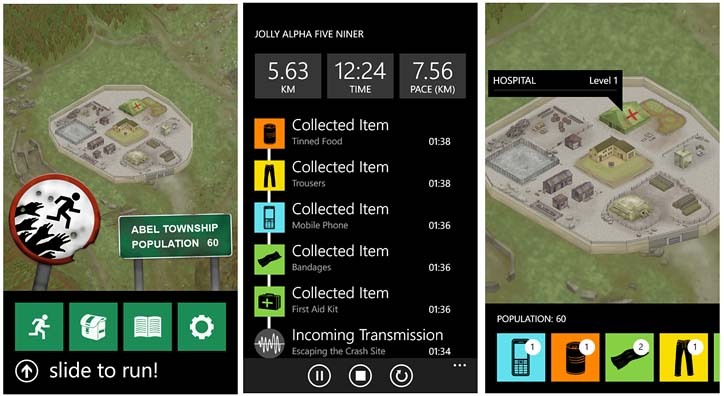 The app focuses on creating a sort of community around running and getting people run together. In its third season and growing continuously in popularity, the app costs $3.99 and lets you become part of what the app portrays a sort of zombie apocalypse. For survival, you need to run away from these lifeless monsters that are chasing you. The longer you run, them ore supplies you get for survival. If users run too slow, they’re caught by the zombies. It’s a very fun app for people who want to spice up their running practice. Another basic app for running that focuses on letting you help others while taking care of yourself as well. 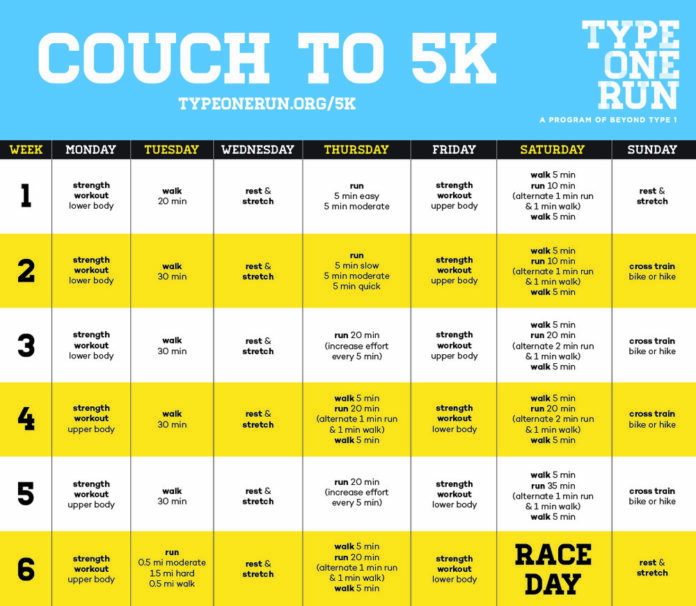 The premise is before you start your run, you can donate a small amount. You get to choose from multiple charities around the globe from Stand Up to Cancer, the ASPCA or the Wounded Warrior Project and more. This isn’t where it ends. The longer you run, the more brands like Timex will donate to your cause. This means, the more you run, the more they donate. usually, the donations are $0.10 per mile on a bike, and $.25 per mile walked. From my view, it’s a great app and needs more people using it. Conclusion: I hope you’d have found one or two good running apps for running. But keep in head that you keep your smartphone secure because there is no turnoff for a jog than dropping your phone while running.